Otaco is an Isla Vista eatery that students have seen and ignored as they bike out of Pardall Tunnel towards the always-open, delicious Freebirds. Otaco’s grand re-opening on Friday (most likely simply a change in management) came as a major disappointment to me, as after Otaco initially closed down, it was rumored that a ramen restaurant was to replace the poorly-received store. I had never eaten at Otaco prior to this review, but word-of-mouth relayed to me how it wasn’t that good. With my dreams dashed of slurping down soft, squishy, slimy noodles from a ramen bowl, I swallowed my disappointment and began my quest to finally eat at and review Otaco. My expectations were not high: I expected decent tacos at a decent price. Otaco met these expectations, though in some instances actually dipped below them. The menu of the newly-opened Otaco was simple and promising: only four taco types were available for order, with each being $1 (a price that is sure to increase after the “grand re-opening” phase dies down). 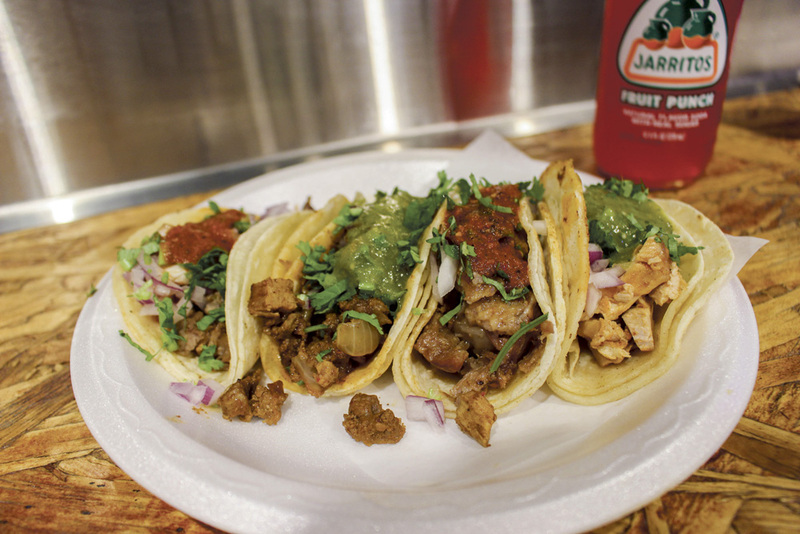 Though limited, the menu seemed to be a good sign for the restaurant, as having only four choices showed confidence in the quality of the tacos. To me, it showcased how Otaco wasn’t relying on numerous menu items or fancy choices to bring in customers, a thought that slightly aroused my taste buds as I expected to indulge in a meal that may taste better than I thought. I ordered one of each taco, the options being al pastor, carne asada, carnitas and pollo. After a reasonable wait, my food was ready, and my bottom was firmly glued onto my seat as my eyes met the tacos. Visions of meaty juices and spicy salsa were seared into my mind as I lifted the pollo taco into my watering mouth. I took a bite. The stars in my eyes dulled. No meaty juices rushed through the gaps of my teeth like the great Mississippi River bursting through the American plains. No spicy salsa enticed my taste buds like a child who just received a Charizard Pokémon card for Christmas. The only taste that greeted my tongue was the taste of regret. The pollo taco was quite bland, with the chicken acting only as mass to make up the bulk of the taco. The verde salsa I laminated the taco in was not as dull as the chicken, yet still did not liven up the taco in any major way, only assisting in making the taco less dry. The pollo taco hampered my Otaco journey, turning what appeared to be a strong start with the menu into a slow crawl to the finish line. The other tacos, thankfully, were better than the pollo. The al pastor taco did not fare much better than the pollo, as the taste was quite sedate, though the meat was definitely more noticeable than the chicken. The carnitas and carne asada tacos were the highlight of my visit, as both tacos had a noticeable, enjoyable taste in the meat. The carnitas taco was spicy and held a nice texture that made it enjoyable to bite into, while the carne asada taco was the juiciest of all four tacos. Though my adventure to Otaco ended on a higher note than it began with, I still was not impressed as I walked out the door of the restaurant back to my apartment. Two of the four tacos at Otaco were not enjoyable to eat, while the remaining two tacos were pretty good. All four tacos, however, pale in comparison to other Mexican establishments in I.V., including Freebirds, which is located less than a minute away from Otaco, and Super Cucas, only a block away. This past Friday, Otaco simply had a “re-opening,” for the only thing “grand” about it was my disappointment. We are very sad to hear that you were disappointed with your experience at our Otaco “Big Taco” Grand Re-opening. At Otaco, we are absolutely dedicated to bringing you the best tacos at affordable prices, and we simply can’t stand to see a customer so dissatisfied. To make it up to you, we would like to offer to you four free Otaco tacos. Please email OtacoManagement@gmail.com to let us know if you’d like to take us up on our offer.